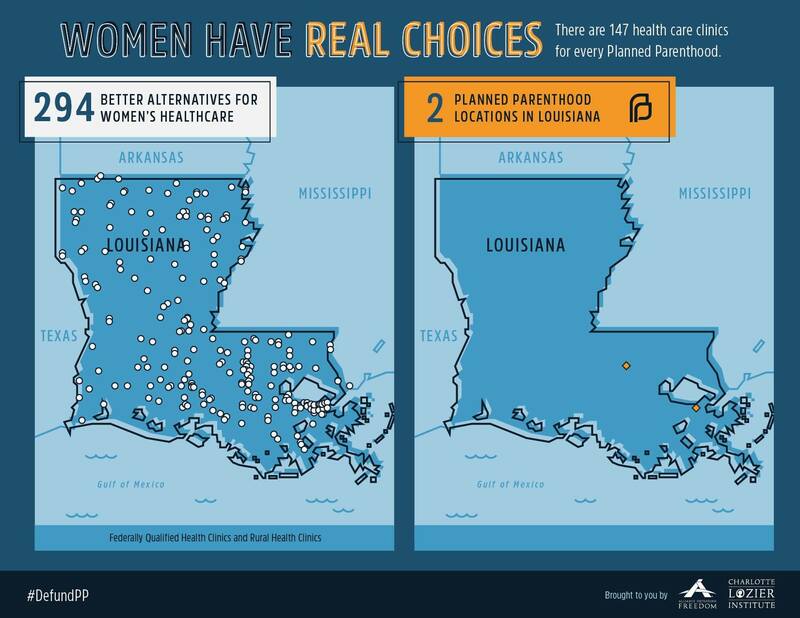 Planned Parenthood has long touted the myth that it is essential to the health and wellbeing of women. While the abortion business claims to represent women, its disdain for human life and contempt for rule of law reveal that the group’s real interest is profit. 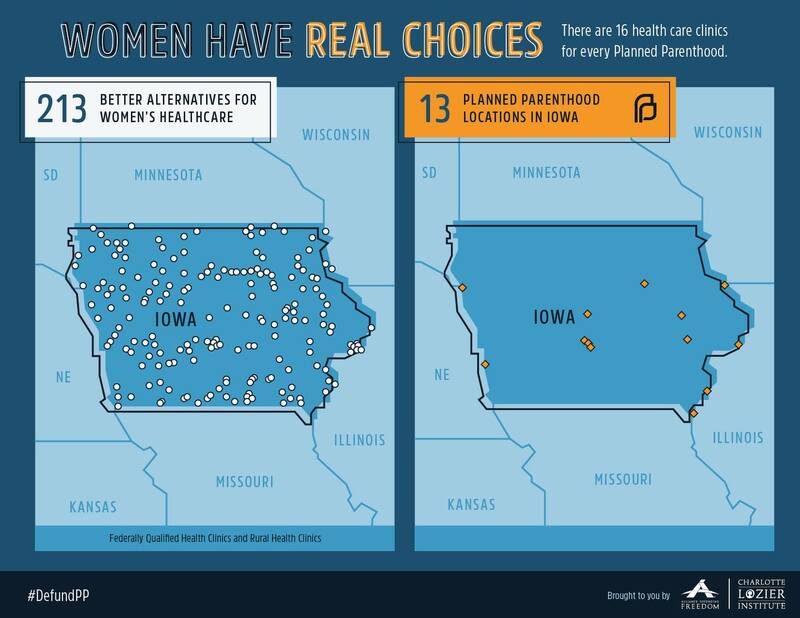 Alliance Defending Freedom, in conjunction with Charlotte Lozier Institute, created a series of graphic images that prove women do not need Planned Parenthood. 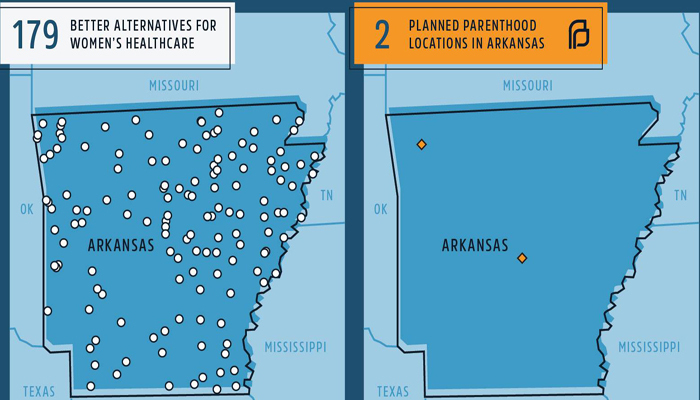 The number of health clinics in the U.S. outnumber Planned Parenthood facilities 20 to 1. 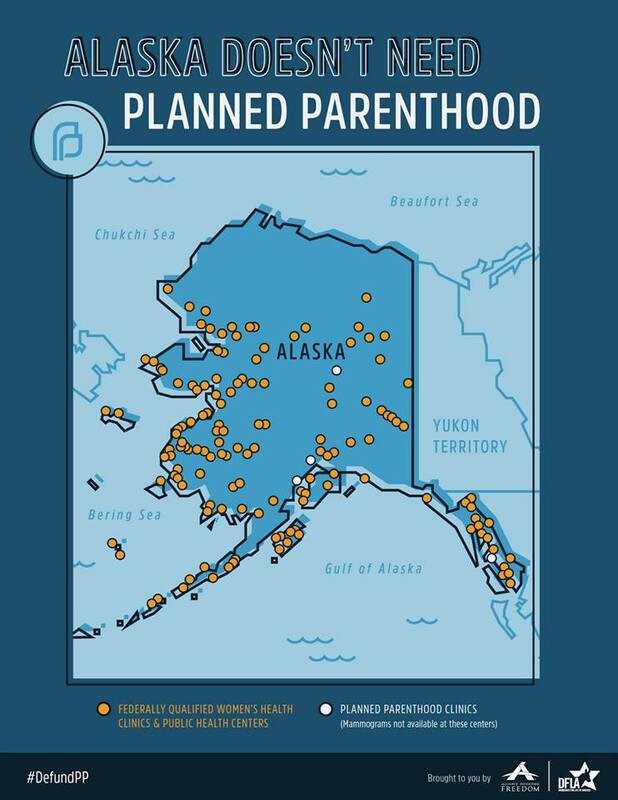 In the states depicted below, comprehensive health clinics freckle the landscape, far outweighing the number of Planned Parenthood abortion mills. 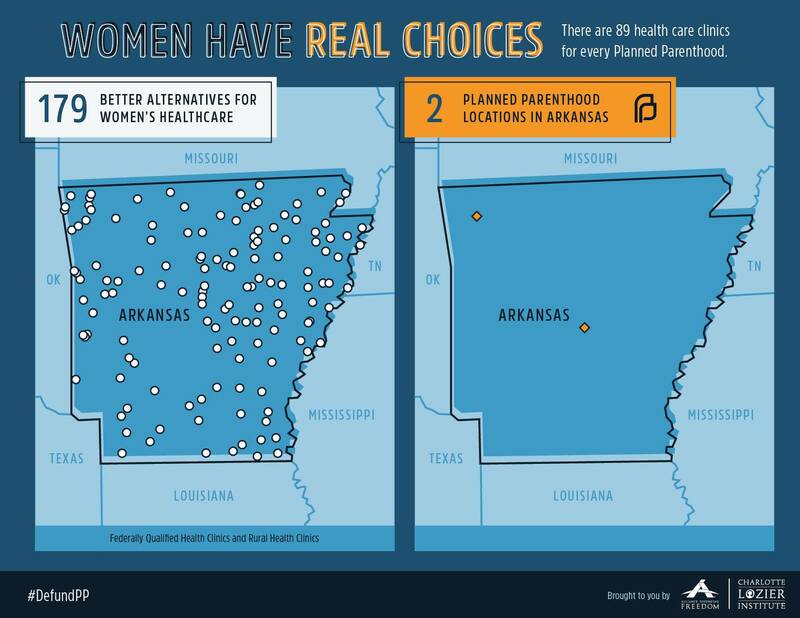 In fact, there are over 13,000 health clinics across the country that offer holistic health care for women, providing services that Planned Parenthood facilities do not. 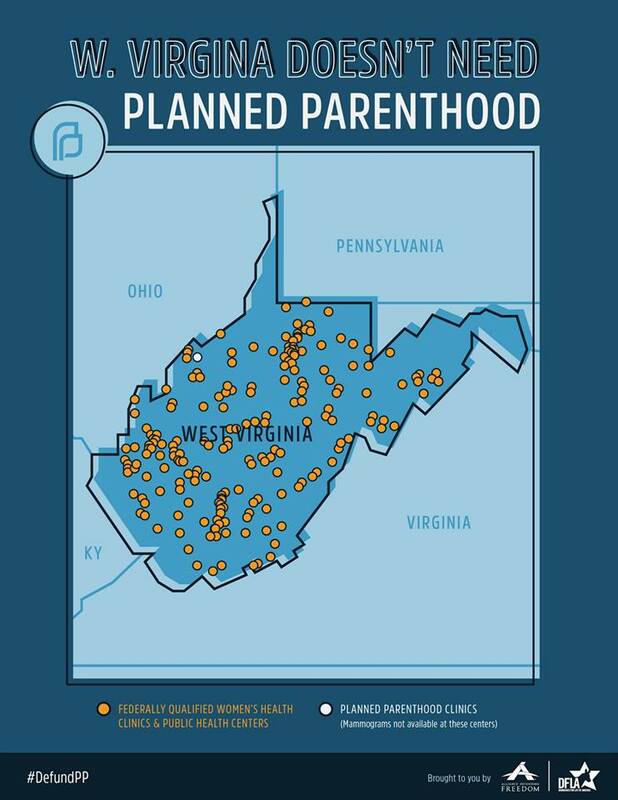 Should the abortion giant —which receives $1.4 million a day in forced taxpayer funding —be defunded by Congress, there are numerous clinics that could also receive federal funding. 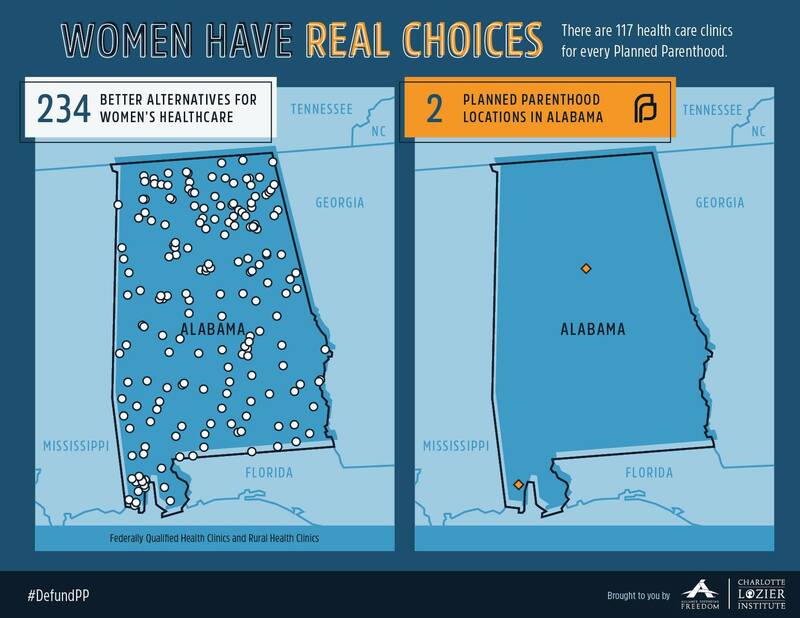 Alliance Defending Freedom and Charlotte Lozier Institute note that there are 13,540 health clinics across the country, versus 665 Planned Parenthood locations. 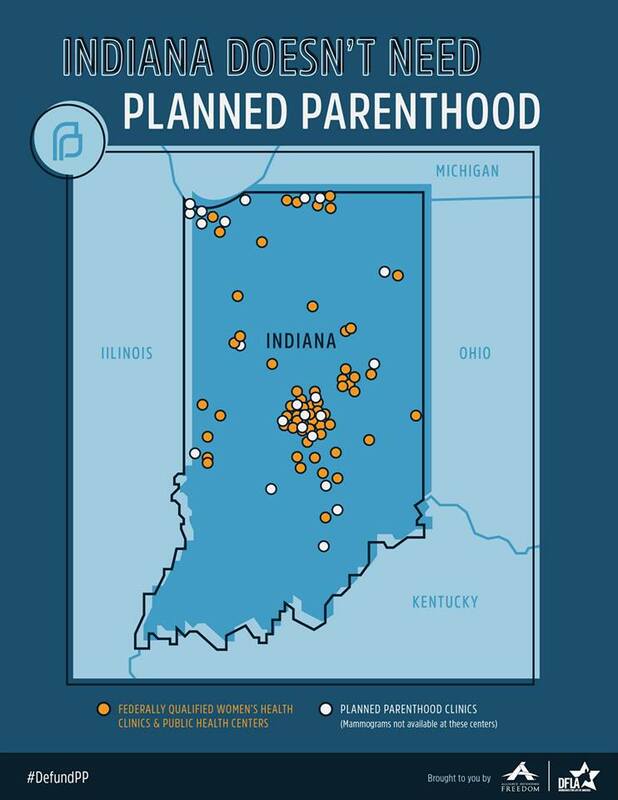 If federal funding from Planned Parenthood was eliminated, the money could go towards health care providers that better serve women.